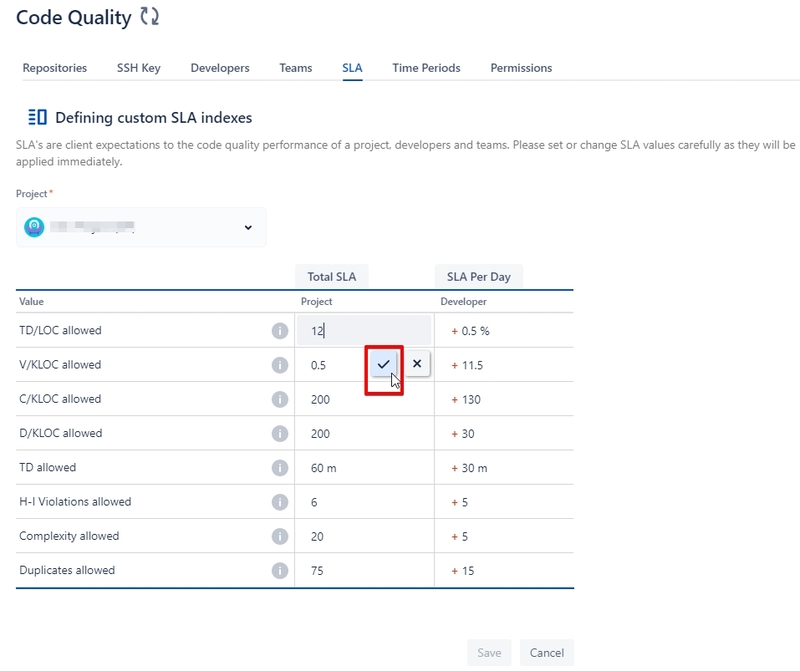 How to set SLA indexes - code quality for jira | how-to's - Code Quality Products @ Diligences Inc. It is possible to set SLA in “SLA” tab in the add-on settings*. SLA can be set for Project or Developer. SLA for Project is called “Total SLA” and it is shown in Project view and Repository view, if there is only 1 repository in the project, on Dashboard and Header graphs. SLA for Developer is set in “SLA Per Day” column. SLA for a developer is taken into account in splaying Daily SLA Summary (Manager Dashboard) and Stats (Daily SLA tab). 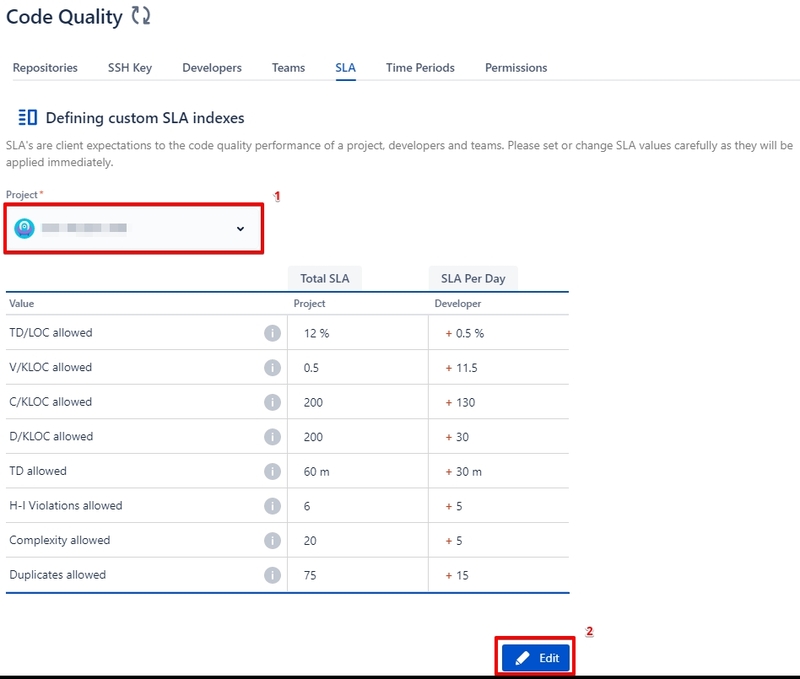 As SLA values is crucial while analyzing project success and developers performance editing SLA table has peculiarities. 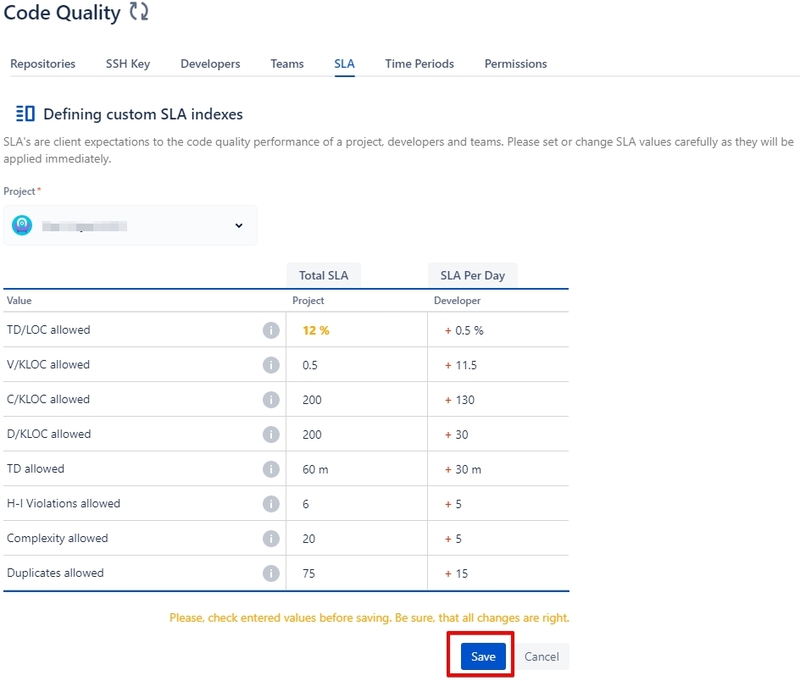 Choose Project for which it`s necessary to set SLA from the “Project” drop-down. Click the “Edit” button. It will make SLA table editable. Once a value is set it has to be saved by clicking the tick button. After the all values are set complete table needs to be saved. It is possible to set decimal values for TD/LOC, V/KLOC, C/KLOC and D/KLOC. *The user should have administrator rights to have an access to the add-on settings.